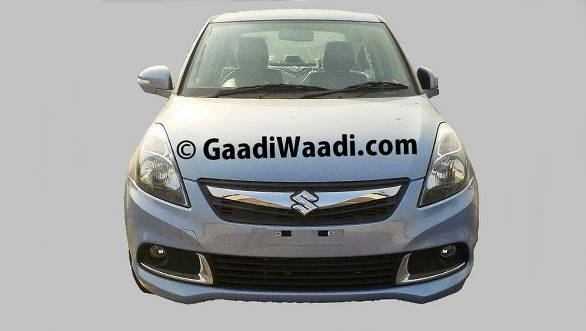 Days after we were bombarded with spy images of the now launched new Swift and the soon-to-be launched Alto, there are now pictures of the updated Swift Dzire. However, unlike the Swift which saw some more modifications on the outside, the Dzire facelift looks a tad comprehensive. The facelifted Maruti Swift Dzire's grille reminds one of the Honda Brio. The bumpers too are all new and so are the fog lamp enclosures. Like the Swift, the Dzire too gets chrome L-shaped embellishments (horizontal as opposed to vertical in the Swift) next to the fog lamps. To give the Dzire an air of sportiness, Maruti designers have given a black tint to the headlamps. 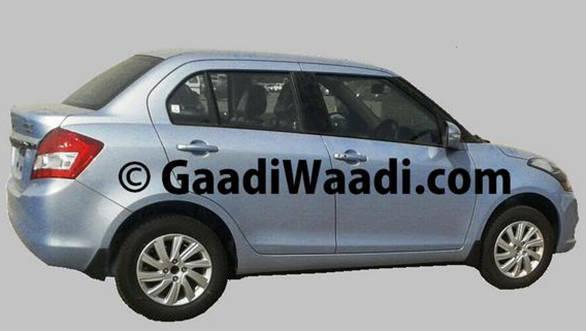 The spy images further reveal that the new Dzire also has redesigned 10-spoke alloys and a keyless entry system as seen on its hatchback counterpart. The rear is also said to have been tweaked but then you will be hard pressed to notice the changes there. Inside the cabin, the new Dzire will have redesigned upholstery, push button start, auto folding mirrors as well as Bluetooth enabled music system. Maruti will be using the updated 1.2l petrol and 1.3l diesel motors from the Swift in the Dzire. Expect the Dzire to also have similar fuel efficiency as the new Swift. The Dzire will also be available with a four-speed automatic transmission while the five-speed manual will be standard. Expect the new Dzire to be in the showrooms early next year.